IDHAE: Free the Lawyers now! Free the Lawyers now ! Activists in Egypt, like Mahienour and many others, are facing trial based on the Protest Law as well as the Assembly Law. A law that was issued more than 100 years ago is the tool that is used to crack upon human rights activists. The Gulf Centre for Human Rights (GCHR) congratulates jailed Emirati prominent human rights lawyer Dr. Mohammed Al-Roken, who has been awarded the Ludovic-Trarieux International Human Rights Prize for 2017 at a ceremony in Venice, Italy on 10 November 2017. Dr. Al-Roken, who is serving a ten-year sentence in the United Arab Emirates (UAE), was unable to accept the prestigious award, so Mohammed Al-Saqer, a colleague from the now-dissolved Association of Jurists, accepted it on his behalf. He continued, “Dr. Al-Roken did not work for fame, but was working to defend the voiceless, the poor people, and citizens in order to deliver the rights to those who deserve to have it. He is a person who looked at the needs of people more than a lawyer seeking fame or money, and some of those whose cases he took said after his arrest that he refused to take any money from them for his work. Dr. Al-Roken was arrested on 17 July 2012, just after his son and his daughter’s husband were arrested as part of a round-up of activists, including prominent human rights defenders, judges, academics, and student leaders. Dr. Al-Roken was among many others who were held in secret detention centres and subjected to torture after being placed in solitary confinement for months, uninterrupted light, high cold, beatings and many violations by the State Security Apparatus. On 04 March 2013, the government commenced the mass, unfair trial of 94 defendants before the State Security Chamber of the Federal Supreme Court in Abu Dhabi in case that came to be known as the UAE94. The government accused them of “establishing an organisation that aimed to overthrow the government,” a charge which they all denied. On 2 July 2013, the court convicted 69 of the defendants sentencing them with up to 15 years in prison. Dr. Al-Roken was sentenced to 10 years, and Al-Saqer to five years in prison in absentia. Their trials were widely condemned as lacking the minimum international standards of fair trial and due process. UAE: Free Mohammed Al Roken! Mohammed Al Roken is a detained human rights lawyer and recipient of the 2017 Ludovic Trarieux International Human Rights Prize, which will be awarded in Venice on November 10, 2017. Mohammed Al-Roken, 54, former president of UAE Jurists Association, is a leading human rights lawyer who provides legal assistance to victims of human rights abuses in the UAE, including to fellow human rights defenders. He was one of the defence lawyers in last year’s prominent case of five political activists – known as the ‘UAE 5’–a group of five individuals who were sentenced to between two and three years’imprisonment for petitioning the government for legislative reforms in 2011. He is currently serving a ten-year prison sentence as a result of a mass trial of 94 human rights defenders and political activists in the UAE. The Jury launched an appeal to UAE authorities to release immediately and without conditions. Mohammed al-Roken, 54 ans, ancien président de l’Association des juristes des Émirats arabes unis, s’est consacré à la défense et à la promotion des droits de l’homme et des libertés fondamentales tout en soulignant leur universalité et indivisibilité. Il , était l’un des avocats de la défense dans l’affaire très médiatisée concernant cinq militants politiques – connus sous le nom « UAE 5 », « Cinq des Émirats » – qui ont été arrêtés, jugés et condamnés à une peine de prison par un tribunal-émirati en novembre 2011 . Détenu depuis le 17 juillet 2012, il a été condamné en juillet 2013, à 10 ans de prison, interdit d’exercer sa profession d’avocat et transféré dans l’une des prisons les plus redoutées des Émirats arabes unis. Les membres du Jury représentaient les barreaux d’Amsterdam, Athènes, Berlin, Bordeaux, Bruxelles, Genève, Luxembourg, Paris, Rome, Venise, Athènes, Cracovie, l’Institut des Droits de l’Homme des Avocats européens (IDHAE) et l’Union Internationale des Avocats (UIA). Le Jury a lancé un appel aux autorités pour qu’elles libèrent immédiatement et sans condition Mohammed al-Roken. A UAE lawyer sentenced to 10 years in 2013 for plotting against the regime was on Saturday awarded a major human rights award. Mohammed al-Roken was among 69 people jailed on charges of conspiring to overthrow the government following a mass trial criticised by rights groups. Awarding him the Ludovic Trarieux Award, the prize committee said Roken had devoted two decades to defending fundamental freedoms. A former head of the UAE Jurists’ Association, Roken, 54, was arrested in July 2012, after taking on the defence of several government opponents, including seven islamists. The prize jury lamented that Roken’s trial had gone ahead behind closed doors and demanded his immediate release. 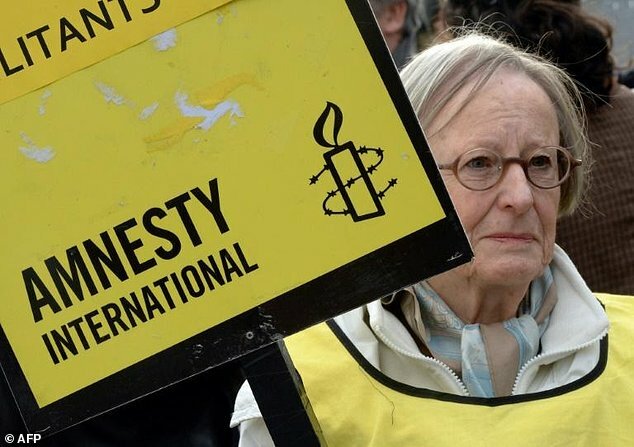 Amnesty International’s Middle East and North Africa deputy director at the time staunchly criticised both the proceedings and the verdicts.